Whenever Nardvark gets a new writing assignment, he feels like he's writing a personal letter to his teacher, because he knows that his teacher is the only person who will ever read it. But if you think about the potential audience for anything you write, it will help you choose the best register and voice. 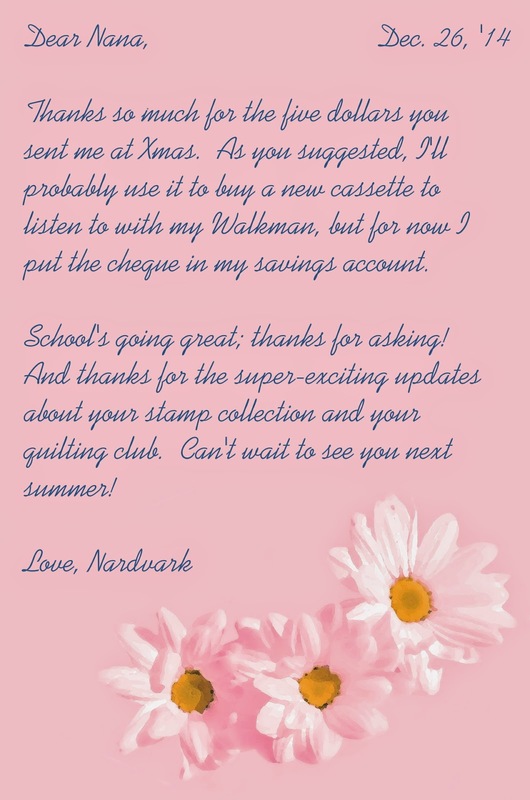 Nerdvark's text message is more formal. A letter to a business or company would be of a high level of formality, because writing in more formal tone makes you sound educated and sophisticated, and is more likely to get you the attention you want from your audience. Whatever assignment your teacher gives you, consider who, in real life, would be reading it -- your audience -- so you can choose the best register to use. Come back next time to learn more about VOICE. Thanks for reading!